MAGWELL has high capacity lifting magnets are very sturdy to meet toughest demands in service. 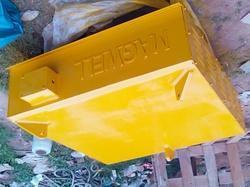 The one piece of magnet body is cast from high-grade dynamo steel. Underneath, between centre and outer poles, the magnet body is closed by sturdy, cast and rib-reinforced non-magnetic austenitic manganese steel plate. Fastening at the centre pole is effected by means of a shrunk-on ring, and at the outer pole by locking ring. The standard three-fall chain suspension, designed with common suspension ring is rated to meet all normal duty load. 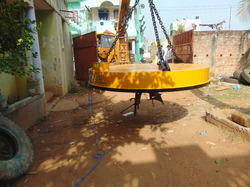 Special change are available on request for extremely heavy loads. Two lugs for guide ropes are fitted as standard. Coil Lifting Electromagnets offered comes in precision designed construction finish and feature superior sealing structure with moisture-proof performance. Further, the electromagnets provide for light dead-weight and strong attraction force. Some of its other features include low energy consumption; special technology based energizing coils to improve electrical property and mechanical property; heat-resistant insulating material grade; high temperature type electromagnet that makes use of unique heat protection method; simple and convenient to install. Electro Magnet offered comprise high performance flip-flop vibratory screens that combine two motions for creating dual vibration movement. Providing for highly effective work performance, the equipment is highly effective and is proven to be effective in screening all type of waste material. Some of its features include low maintenance and operating costs; compact and modular construction finish; single or multi deck type options; suitable for use in areas like sand & crushed stone, limestone & dolomite, municipal solid waste, bio-solids and others. Mechanical construction of MAGWELL has high capacity lifting magnets are very sturdy to meet toughest demands in service. The one piece of magnet body is cast from high-grade dynamo steel. Underneath, between centre and outer poles, the magnet body is closed by sturdy, cast and rib-reinforced non-magnetic austenitic manganese steel plate. Fastening at the centre pole is effected by means of a shrunk-on ring, and at the outer pole by locking ring. A strong plate made from hard, wear resistant, manganese steel protects the coil but does not interfere with the magnetic field. This is made from Anodized strip or aluminum / copper conductor. The anodized aluminum strip requires no insulation between turns and has a much better fill factor than copper coils, which increases the load possibilities. The coil is also extremely temperature-resistant. The magnetic pole, the steel cross-section and the flow through the coil have all been precisely tailored to each other to provide optimum transport power and weight conditions. We deliver the appropriate power supply to every one of our magnets. 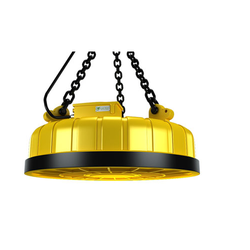 The following electrical accessories are required with the lifting magnet and are available.